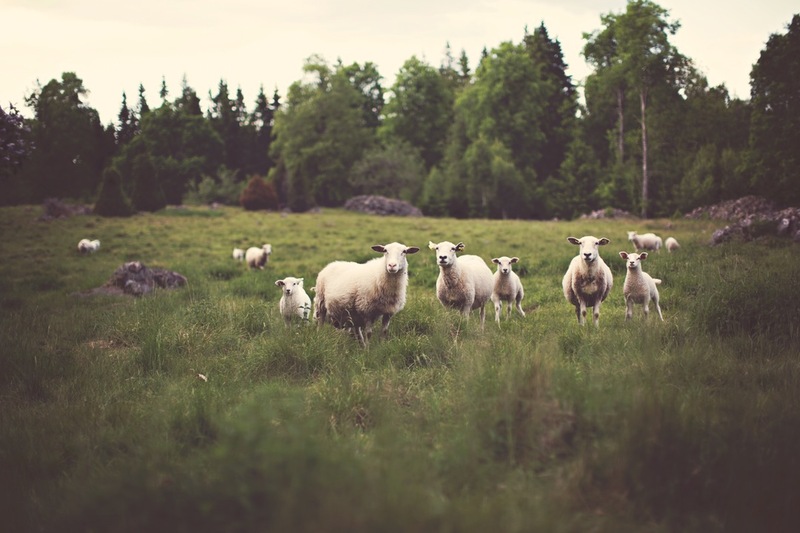 I get it, Jesus is the Good Shepherd, but why do we behave so much like sheep? I know, he said, “He will put the sheep on his right and the goats on his left.” But, is there a chance it was an easy analogy for the agrarian society of his day? Do you really think he meant to fit in and follow the crowd? Really? I mean, Jesus was far from a conformist. Read Matthew, Mark, Luke and John. He bucked the system and flew in the face of the cultural expectations of the Messiah (see Mark 10:45, Luke 2:38, Matthew 5:41-44, Mark 8:31-32). Questions, divergent thinking and social change can rattle some Christians to the core. Jesus spent so much of his time trying to shake the religious of his day out of their herd mentality. Why in the world do we work so hard to preserve the very thing he fought against? Churches are dealing with the current climate represented by articles stating millennials aren’t engaged in the church (see here). So, churches respond trying to craft new outreach programs and experiences to get those “lost” millennials back to the flock. Maybe it’s the institution of the church not the message of Christ that’s the problem. Maybe, no matter what we do, younger generations aren’t going to pack into churches like their parents and grandparents did. Maybe the subtle suggestion that we’re a cog in a grand institutional wheel approach does not work for today? Look, I truly believe in the importance of conforming to the person and way of Jesus Christ, but I’m not sold on that conformity being tied to the subcultural, doctrinal and missional norms of an industrialized church. Oh, we think modern Christians are different than the Pharisees of Jesus’ day. I get it. We’ve progressed. We’ve moved on. We’re not like that at all. Really? Let’s have some self-awareness. We perpetuate our subcultural norms. New people come to faith in Christ and we bring them into church for important training and equipping and drive assimilation whether overt or covert. Collectively we reinforce how we behave at this church, here are the religious practices we condone, here’s how we dress, here’s how we see the world. Oh, and if you really want to plug in and use all that training and equipping then be sure to volunteer to hand out programs or direct parking. We’ll even give you a fluorescent vest and an orange wand to make it official. Talk about putting on the full armor of God. I think the institutional church serves a purpose. I really do. I think it is a great place for us to learn in formal educational settings. I see it more like university than a country club, somewhere for training rather than somewhere for staying. How can we train, equip, educate and foster a community of learners where inquiry is invited, individuals are supported in their uniqueness and then graduate from the institutional educational environment to take on immersive lives of apprenticeship, community, generativity, justice and impact? Jesus is the Good Shepherd and he cares for his sheep. We are his flock, but I don’t see in the person of Jesus where he called us to settle into a herd mentality. If he meant for us to build protective walls where we can assimilate others and insulate ourselves into small lives of homogenous bible studies, church activities or programs and well designed bumper stickers then why in the world did he send his followers out from himself, away from the safety of the herd (Luke 10:1-2)? If Jesus sent his closest followers out into the world (Matthew 28:16-20), why would we conform to a model that invites in rather than sends out?